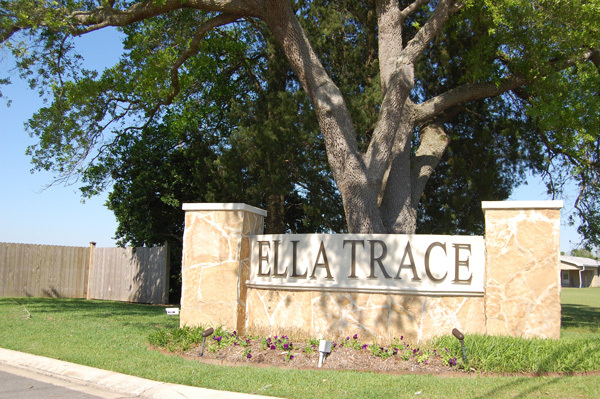 Ella Trace offers the convenience of location as well as its own market. It is McLain’s vision of the old country store. It will have all the convenient items of today but with the comfort of yesterday. The market will not only be stocked with essentials, but also with added specialty and luxury items. The market will also offer a recipe section filled with new cooking ideas and occasional special guests that will share very personal cooking secrets with us and our neighbors. Since the market is conveniently located at the front of our neighborhood this will definitely be a place you want to visit on the way home. To keep Ella Trace quaint and neighborly, only seventy five privileged families will be allowed to be a part of our unique neighborhood. Directions: Head south on West Pinhook Road toward Kaliste Saloom Road. Take a slight right onto Hwy LA 89 and continue to the stop light. Turn right onto La Neuville Road, travel seven tenths of a mile, turn right onto Phelps Drive into Ella Trace subdivision.